VICTORIA, BC – Lighthouse Brewing has announced the start of a new cask series at a local pub, as well as a new addition to the Lighthouse brand line-up. The Lighthouse Cask Series will take place on select Mondays at The Beagle Pub (301 Cook Street, Victoria, BC), with each edition of the series featuring a different specialty cask beer. 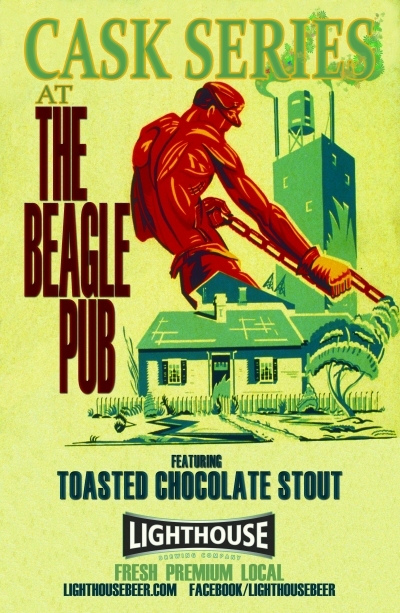 For the launch event on February 13th, a cask of Toasted Chocolate Stout will be featured. This hoppy IPA is 80 IBUs and 6.5% alc/vol. Citra, Zythos and Falconer’s Flight hops combine to produce citrus, stone fruit and tropical flavours. The assertive bitterness of these hops is nicely balanced by medium bodied, fresh malt characters. 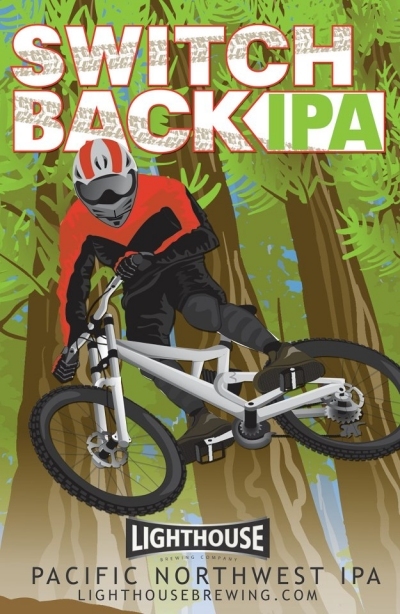 Switchback will be available starting the week of February 27th, and will be featured at a number of Lighthouse tastings at various government and private liquor stores in BC through March.